Serve this Louisiana favorite with warm biscuits, cold butter and a large bottle of red pepper sauce. If you don’t have Cajun seasoning, substitute 1 to 1 1/2 teaspoons dried thyme leaves and 1/2 teaspoon red pepper sauce. 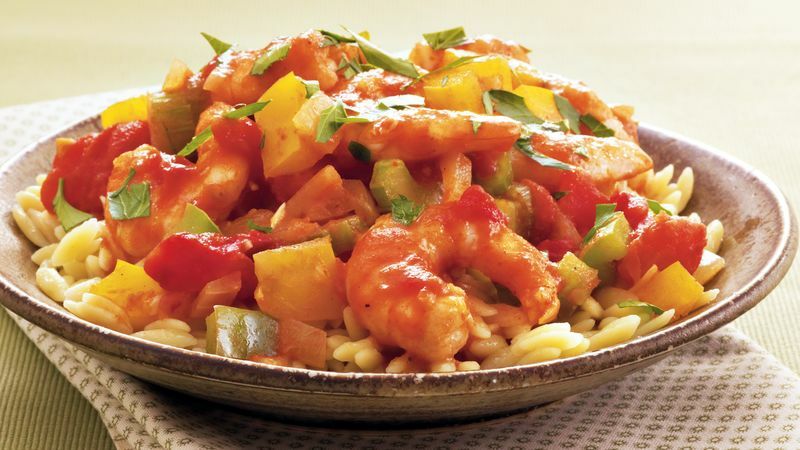 Orzo, tiny rice-shaped pasta, is a nice alternative to the traditional rice served with shrimp Creole. Feel free to substitute cooked long-grain white rice, if you prefer.